TO REGISTER CLICK ON THE REGISTRATION TAB ABOVE. Our registration for the 2019 Bulldogs Football Spring Camp and Fall season is now open. Check out our calendar for information regarding dates of our Spring Camp and Activities as well as our fall season. 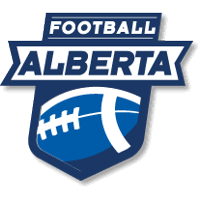 Congratulations to these Bulldogs who move on to the next level from the U-17, U-18 Football Alberta Superweekend held Jan 11-13 at Foote Field. Jayden, Tanner, Caleb, Jordan and Adam move onto the U-17/U-18 Team Alberta try-outs in Calgary April 5-7. WHAT IS A BCHS BULLDOG?